Beautifully located along the Shepherd of the Hills Expressway between Shoji Tabuchi Theatre and the Cascades Inn, Paradise Steakhouse & Grill is one of the finest restaurants in Branson that serves delicious steaks. The restaurant is one of the more popular dining spots along the northern fringes of the city and offers traditional mountain cooking with some flair and modern culinary style. Paradise Steakhouse & Grill is a great place to dine as it has the most reasonably priced in the area. This eatery is known for its extreme cleanliness and delicious down-home cooking and features separate areas for children. If you are planning to visit Branson, be sure to secure the lowest rates for your hotel accommodation with Agoda.com near restaurants and cafes. Finding the perfect hotel for your vacation to see Paradise Steakhouse & Grill is easy via Agoda.com. This site offers secure on-line booking form which provides a simple way of booking accommodation close to Paradise Steakhouse & Grill. Its city page incorporates convenient search tools and extensive hotel information which enables visitors easy search on hotel accommodation. Paradise Steakhouse & Grill always offers something great cooking on the grill such as steaks, chicken, burgers, and many other delicious choices. No matter what you order in this restaurant, there’s always a fresh salad bar to give you a complete meal. This fantastic restaurant in Branson has become a favorite dining spot for many visitors. Being popular for their melt-in-your-mouth steaks, they also boast a well-stocked buffet that includes everything from potatoes to soup. There are also food stations brimming with desserts, salads, and fruit. Paradise Grill offers several steak options that are sure to please every meat lover, including the Chopped Sirloin Supreme, New York Strip, and Ribeye. Another popular meal option that you can enjoy here is the Country Style Dinner which includes Country Fried Steak and Smothered Chicken. 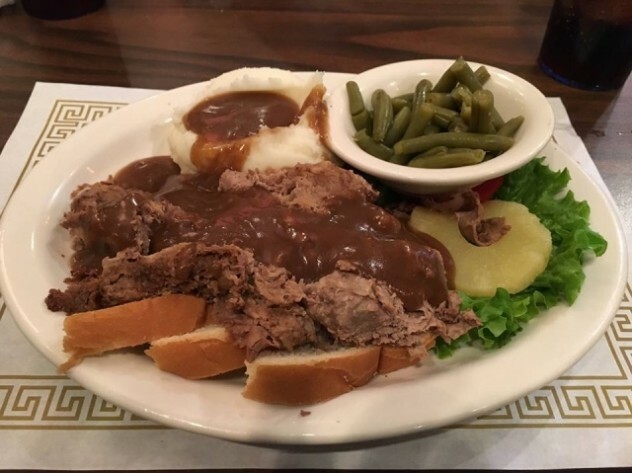 The restaurant also offers tasty Dinner Sandwiches like the French Dip and Hot Roast Beef and desserts which include Hot Cobbler, a Root Beer Float, and Cheesecake with Strawberries. This dining place has a cozy atmosphere, the hospitality is exceptional, and the food is the kind that’ll make you return again for another satisfying meal. Paradise Steakhouse & Grill is a truly a great place to stop in for lunch or dinner. The food here is plentiful and delicious and the price is on par with many other fine restaurants in Branson. You’ll be impressed to dine here as the salad bar and desserts are always fresh and included with the full meals. The steaks served in this restaurant are extremely tender and very flavorful. The baked potatoes are also baked perfectly. The beautiful décor and beautiful ambiance greet you as you enter the restaurant plus a very friendly hostess and wait staff and it has a very relaxed atmosphere. So, if you are looking for the best steak restaurant in Branson, visit none other than Paradise Steakhouse & Grill where you can savor the taste of paradise.